Make connections at the May Rush Hour Connect and Celebrate the 25th Anniversary of a Siouxland Company! Celebrate the 25th Anniversary of Quality and Triview Communications this Thursday, May 19, 2016 at the Siouxland Chamber’s May Rush Hour Connect. The event is from 4:00 PM to 6:00 PM at 203 Sergeant Square Dr., Seargeant Bluff, IA. Triview Communications of Sergeant Bluff was started by Rich Zanter in April 1991. Diane, Rich’s wife, left the nursing profession and joined the family business that same year. From a humble beginning in their basement office in the family home, Triview Communications has grown to become the trusted expert in communication systems throughout Siouxland. In 1996 Triview became authorized to sell Avaya phone systems as Quality Telecommunications and they expanded into their new office building. Quality and Triview Communications offer phone systems for all sizes of businesses, from the small business with two users, to the large business with offices scattered across the country. Their products include mass notification systems, video conferencing, network surveillance systems, and cabling, including fiber. Quality and Triview Communications currently has 10 employees, and half of them are immediate family. Rich and Diane have two sons. Ryan is a programming engineer while Lee takes care of the network surveillance systems. Their daughter, Darcy Burner Christenson, is their sales and marketing manager. With more than 100 years combined experience, Quality assures their business customers they will receive the best solution, service and support. Happy 25th Quality and Triview Communications! 1.Do not be discouraged! Never give up! When Triview was being set up Rich went to the SBA with a business plan. He was told this business would never make it through the first 2 years. 2.What do you do when you have to run wiring through a 12 inch gap over a safe? Grab your 9 year old son and shove him in! 3.Back in the 70’s on a cold Christmas Eve Rich was working his last case of trouble for a residential customer who absolutely insisted that he have a shot of brandy with them. Soon after feeling warm and toasty he climbed a pole and forgot to wrap his safety strap around it before he leaned back. Next thing he knew he was laying in a soft snowbank at the base of the 20 foot pole! The first thing he did was to jump up, make sure no one saw him, and climbed back up the pole. 4.You never know what you will find in ceilings, attics, behind desks etc… Dead mice fall on you, live mice jump at you, squirrels and bats are frantic to get away from you. We find bottles of booze, hand guns and naughty magazines hidden away. And we never tell. 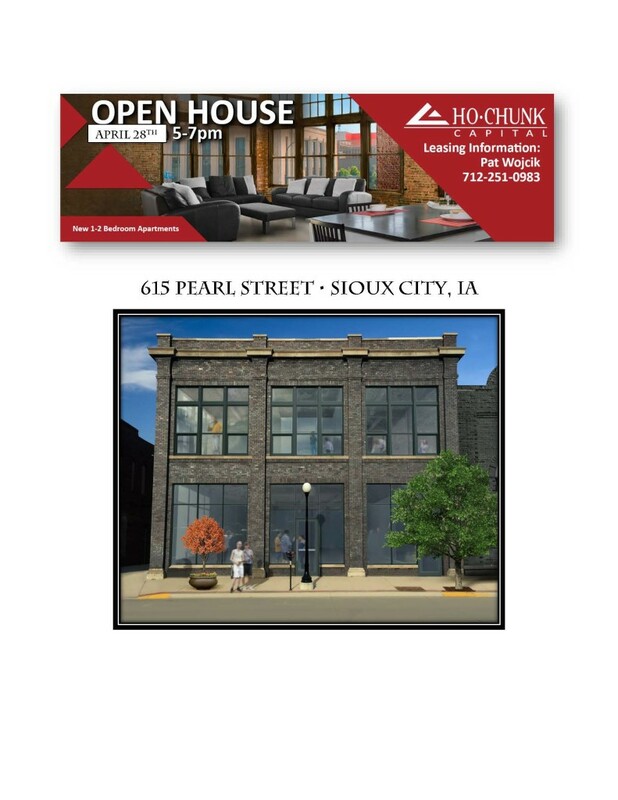 Attend Ho-Chunk Capital’s Open House at 615 Pearl St. this Thursday. Attend Ho-Chunk Capital’s Open House at 615 Pearl Street in Sioux City this Thursday (April 28th) from 5:00 PM to 7:00 PM. 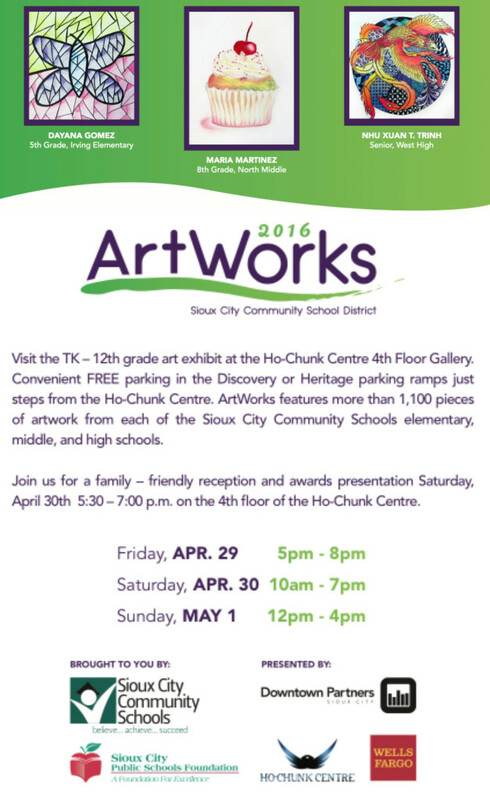 Take this excellent opportunity to see one of the many projects of Ho-Chunk Capital. 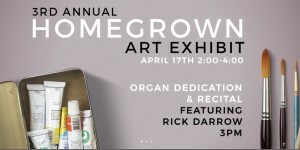 Morningside Lutheran is hosting their 3rd Annual Homegrown Art Exhibit and Organ Dedication and Recital on April 17th from 2:00 PM – 4:00 PM. The Organ Dedication & Recital featuring Rick Darrow is at 3:00 PM. Morningside Lutheran is located at 700 South Martha, Sioux City, IA. Belle touché salon & spa hosts a “Catwalks for Water” fashion show to celebrate Aveda’s 10 years of championing clean water. Every year Aveda celebrates Earth Month to raise awareness of an important global environmental issue, clean water. One of the ways they achieve this is by hosting Catwalks for Water, annual green carpet events during which local Aveda salons and institutes come together to raise money for Earth Month by showcasing their inspiration, creativity and technical skills in hair, makeup and fashion. This year’s eco-chic show sponsored by belle touche’ and spa of Sioux City in partnership with the local AUDUBON, is an eco-chic show committed to raising $10,000 for our local EARTH MONTH PARTNER AUDUBON and is dedicated to supporting sustainability by featuring designs made only from recycled and re-purposed materials created by belle touche’s salon staff. Although the caps from Aveda Full SpectrumTM Hair Color tubes, the tubes themselves, highlighting foils and Aveda shopping bags may not seem like the components of high fashion, they will likely take center stage at Catwalks for Water. The event will be held on Sunday, April 10, 2016 at Buffalo Alice, 1022 4th St., Sioux City, Iowa. The doors open at 4:00 PM with live music and the catwalk begins at 5:00 PM. To make a donation or purchase tickets, contact Stephanie LeFebvre at 712.277.3335. Donations must be received by April 7th. Click here for more information. The Iowa District Office of the U.S. Small Business Administration has named the city of Sioux City as the recipient of its 2016 Iowa SBA Small Business Community of the Year Award. Sioux City was selected for demonstrating an ideal collaborative environment for small business success. 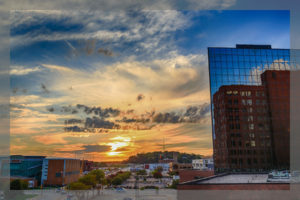 Initiatives that Sioux City was recognized for included Start-Up Sioux City, a collaborative effort between private and public interests to nurture and encourage entrepreneurship within the city. 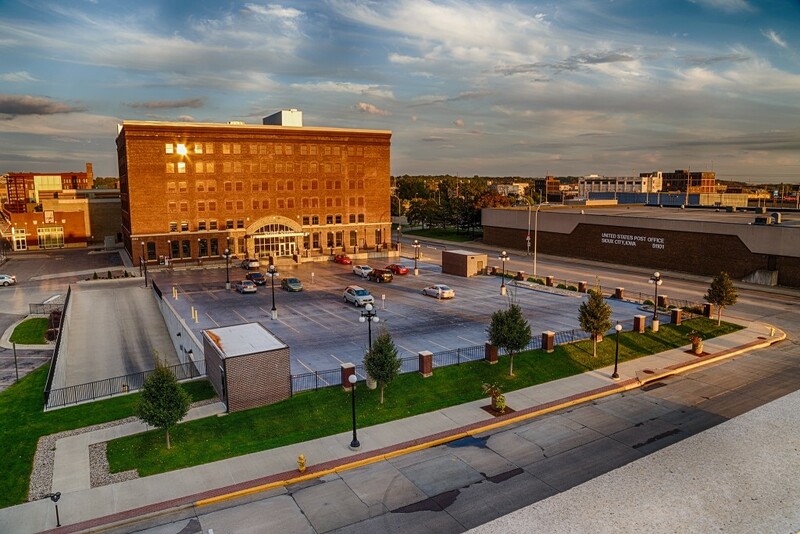 Sioux City’s leveraging of federal, state and local government, higher education and community resources was also recognized for helping the city create an ideal small business culture. 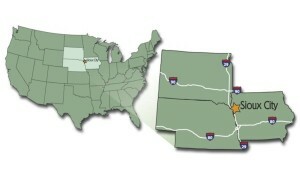 Sioux City was selected from nominations from small towns, larger cities and regional economic corridors statewide. The selection committee included representatives from the SBA, the SBA’s Office of Advocacy, USDA Rural Development, America’s SBDC – Iowa, SCORE and the Women’s Business Center at the Iowa Center for Economic Success. 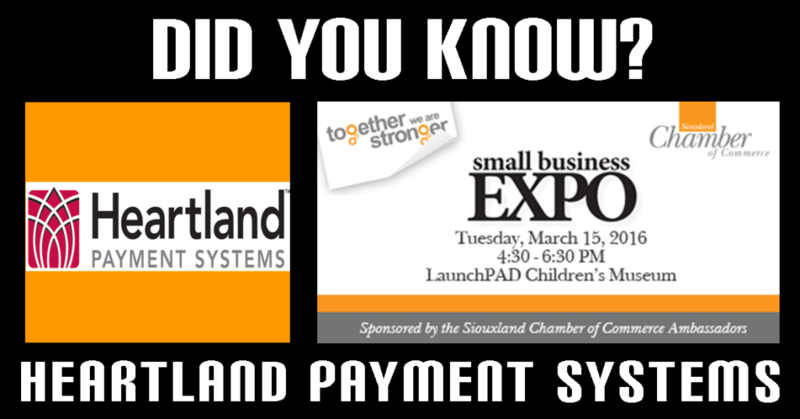 Heartland Payment Systems are proud of the work they do. From payment and payroll processing to enterprise-quality solutions in security, technology and marketing, they’re committed to your company’s success. Secure payment processing is a Heartland cornerstone. With their industry-leading technology, you can rest assured that you and your customers are in safe hands. From school districts to gas stations to restaurants and retail, they have a security solution that suits your needs. Heartland has a wide range of products and services-from mobile payment devices to business loans and payroll solutions. You can also create an online presence quickly with Heartland’s e-commerce solutions. Whether you’re building a new online store or simply updating an existing one, they have the tools to meet your needs. Dr. Mark Carlson is an Internal Medicine Physician practicing at Siouxland Adult Medicine. Dr. Carlson also owns and directs Rose Hill Med Spa. Siouxland Adult Medicine and Rose Hill Med Spa offer bio-identical hormone replacement pellet therapy and the latest FDA approved services in beauty and rejuvenation. 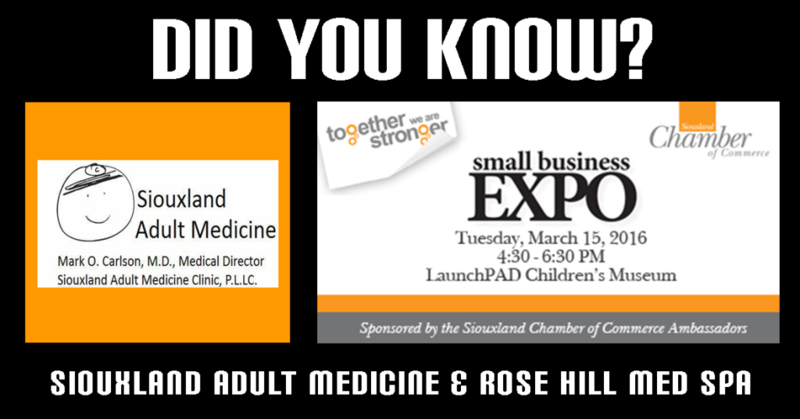 Both are located at 1605-09 Douglas St.
Visit the Siouxland Adult Medicine/Rose Hill Med Spa booth at the Small Business EXPO and learn what replacement pellet therapy can do for you, get a 10% coupon for Rose Hill Med Spa, and also sign up for a drawing for a facial and skin care products gift basket. Music lives and speaks at the Sioux City Conservatory of Music. The Sioux City Conservatory of Music is a non-profit music center that offers guitar, voice, bass guitar, percussion, piano, violin, cello and band lessons for musicians of all ages, backgrounds, and skill levels. The Conservatory also offers opportunities to record, perform, or attend live music events featuring both local artists and artists from around the country. Check out the events listing on their website. 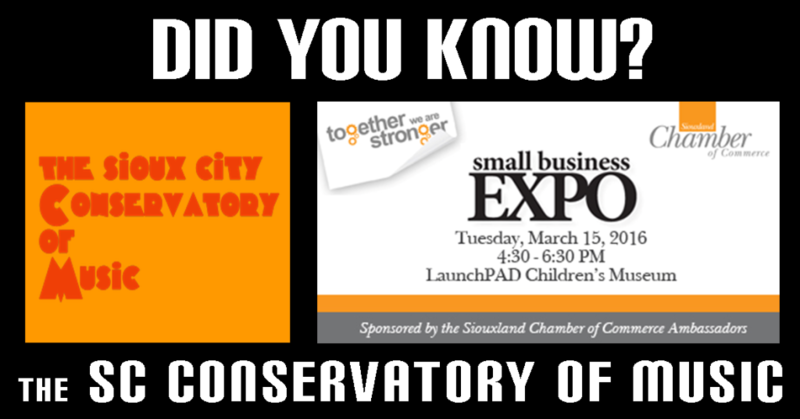 Visit the Sioux City Conservatory of Music’s booth at the Small Business EXPO, listen to live acoustic music and get your pass for a free lesson. Find ways to absorb yourself in the Conservatory as well as learn about the “Gimme Shelter” project (COMING SOON). Absolute Massage & Boydwork offers several types of massage including Deep Tissue and Swedish massage and Trigger Point Therapy. The spa also offers Reiki and Aroma-Touch therapies. Can’t decide which service to get, you can combine two services at a reduced rate. Absolute also offers on-site massage for business and corporate settings. The benefits of these therapies are great: decreased anxiety, enhanced sleep quality, greater energy, improved concentration, increased circulation, and reduced fatigue. Visit Absolute Massage & Bodywork’s booth at the Small Business EXPO and visit with owner, Lisa Wingert, to see what free service she is offering! Whether it’s pain relief or relaxation you are seeking, Absolute has you covered!